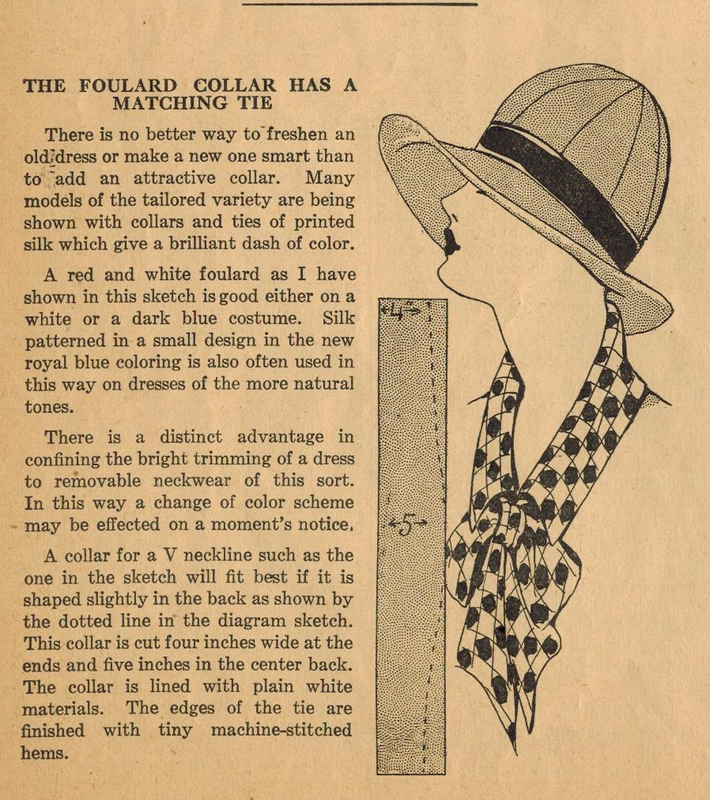 Make a detachable Chelsea collar and matching tie with this great tip from Ruth Wyeth Spears and the 1920s! In this tip, Ruth refers to foulard, a lightweight fabric (often of silk) and usually with a small printed design of various colors. This collar and tie has such a jaunty air. :) Quick to sew and a great way to use a remnant, don't you think?